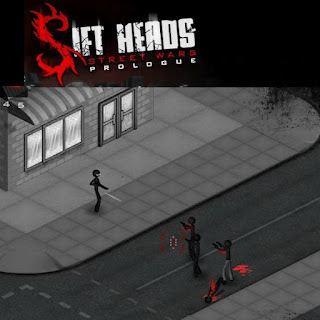 Sift Heads Street Wars Prologue is the latest installment in the stick figure action shooter game series by failsafegames. It has the same action packed gameplay and story style like the first sift heads games but with a totally new 3D environment. In this prologue, Vinnie is confronted with all 3 organizations hence awesomeness. Many of us have been waiting so long for the release of this game and I can say that it is worth it though the waiting is not over yet because the multiplayer version of this game is yet to be released. Meanwhile, here is Sift Heads Street Wars Prologue walkthrough whilst we wait for the game cheats.